Fabricated in accordance to the prevailing international quality standards, our SS Seamless Pipes and Tubes are sturdy built having longer service life. They are available with us in different grades, standards and specifications. 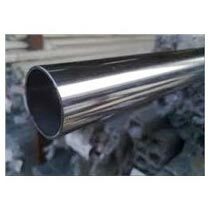 Our SS Pipes and Tubes are comprehensively used in oil-coolers, super-heaters, pre-heaters and many other applications. We are a credible Manufacturer, Supplier and Exporter of AISI-SUS 303 Stainless Steel Seamless Pipes & Tubes in Maharashtra, India.